Ralph Neas of activist organization People for the American Way will talk about the threat to the filibuster, U.S. Senate rule that protects the rights of the minority party. Light refreshments at 7 PM, program at 7:30. Delegate Carol Petzold will introduce Mr. Neas and review Maryland's Assembly history for the last session. All events will be near the Grosvenor Metro stop on the Redline. Outdoor Special Events Parking on site, and other parking located in the Metro Garage off Tuckerman Lane ($4 Monday-Friday, must be paid using a Metro SmarTrip card, available at all Metro Stations). Limited short-term parking available at specially marked meters along Tuckerman Lane. For more information, see: http://www.mddems.org or call 301-858-8818 or 410-269-8818. We'll continue work on Political Action, Media, Community Service, and much more, and invite guest speakers to lead discussion on ways to get things done. Kim Louth organizes substantive meetings leading to action on important topics each month. Kim writes: "We need everyone - we are going to start work on our Bike for Peace Project and our Buy Blue Local Network!" Guests and new members welcome. Chevy Chase Library, downstairs meeting room. Ike Leggett, declared candidate for County Executive will discuss county issues with DFA members. Guests and new members welcome. Join thousands of fellow activists, elected officials, national opinion leaders and celebrities at The Campaign for America's Future's 2005 Take Back America Conference Join with progressives across the country for the most important gathering of activists, leaders and thinkers this year. Discuss strategies and an agenda for change, identify key issue campaigns, and kick off the drive to Take Back America. 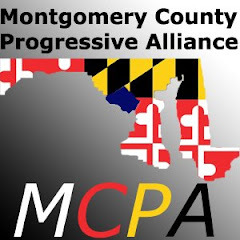 The Montgomery County DFA MeetUp groups will host Terry Lierman, Chair of the Maryland Democratic Party to discuss local, state and national issues - including what we think the Democratic Party should be doing. Guests and new members welcome. You will see this: "Welcome, Mike!" Don't be confused. This is the key part: "If you would like to join Mike on the March, please sign up below." Just add your contact information to join the march! Submit Action Alerts, Events, and Articles for publication at the Blog, Website and Newsletter to Art Fabel artfabel@comcast.net and Mike Hersh mikehersh@mikehersh.com - please edit, spell-check, and proof read to help us include your submissions. For meetings and events, include sponsor and contact person, time, place (full street address), date, and summary of agenda, etc.